This product is no longer developed or supported. 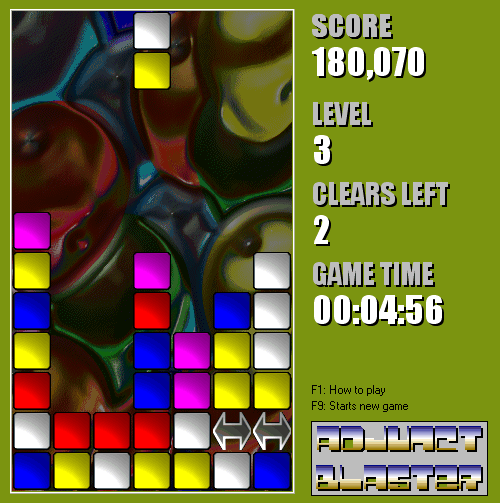 In this addictive game you must rotate and move falling tiles and form connections of the same color to clear them from the grid. Blaster tiles and Mystery tiles add unpredictability and more action to the game. Adjunct Blaster only takes a minute to learn to play. It's a unique twist that's sure to please fans of Tetris, Columns, or Bejeweled! Adjunct Blaster is easier to play than it is to describe, so download it and try it out. System requirements: Windows 98 or better, 800x600 high color display or better.